How many times have you faced the task of “bringing something” to an event only to find yourself schlepping out of the closest store with a plastic container of sugar cookies? And while there’s nothing wrong with those (I guess) deep in your heart you wish you could do better. And now you can. 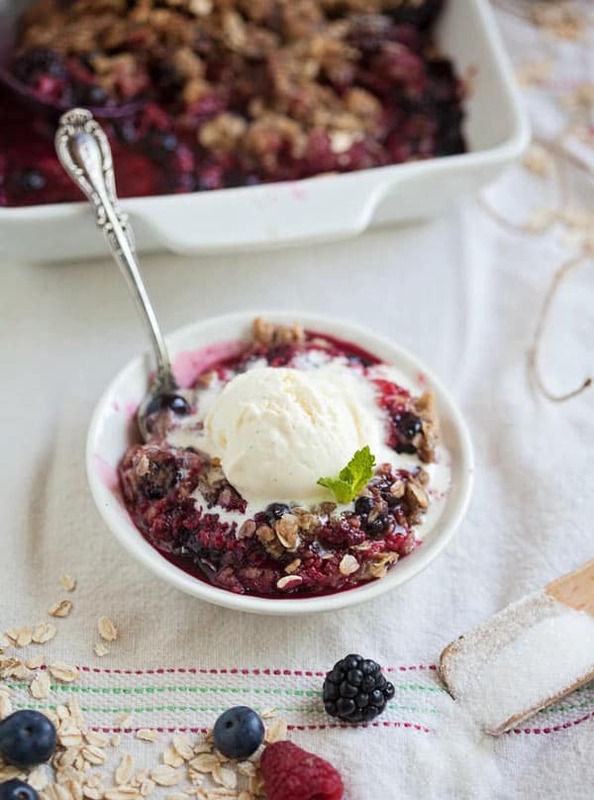 There are way too many fancy-schmancy desserts we could be considering here but instead of going down frustration road and asking you to make meringues or a cake roll (those things were invented by the devil, I’m sure of it), you will be the master of the mixed berry crisp. 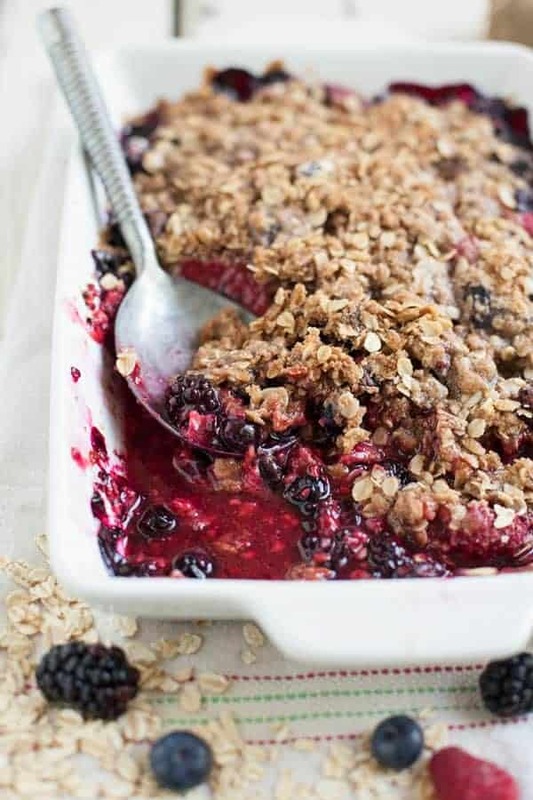 Bubbling warm berries of sweet goodness. And don’t forget the ice cream. It all comes together in to something magical. 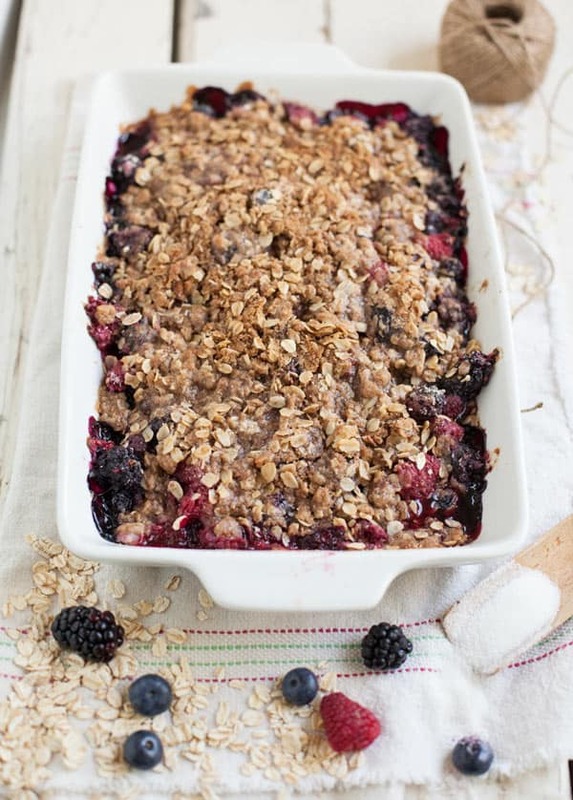 While berries are in season you can use any combination that you like in this mixed berry crisp. I used blackberries, raspberries and blueberries since they were pretty doggone fantastic. But you can absolutely use frozen if you can’t get your hands on fresh ones or just don’t want to spend the money. I get that. But I shop at Aldi where I’m pretty sure the angels sing every time I go in and see the prices–so I can afford to buy fresh berries there. We also grow our own blackberries and raspberries here on our farm so I use my own when they’re ready, too. So many options! One is bound to work for you. Don’t sweat it. When you put this together there’s absolutely nothing fancy you’ll need to tackle. Just mix the fruit with some flour (to help thicken the juices) and sugar and whip up the dry ingredients. If you’d like to make this version gluten free, it’s easy: use gluten free oats and your favorite all purpose gluten free flour and you are all set. Once it’s baked, it can be served warm, at room temp or cold. It travels perfectly and doesn’t need to be refrigerated if there’s no where handy to chill it. What’s that? You want more berries? Check out my blackberry cobbler recipe for a little extra inspiration or our family birthday treat, blackberry pie. We kicked cake to the curb years ago for it. I love low-stress, fantastic tasting food. 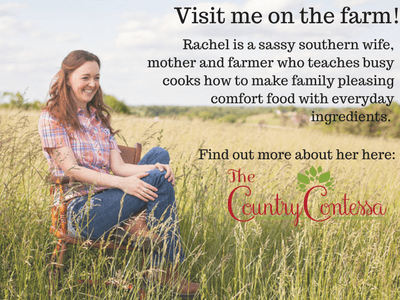 Enjoy, and come see me on the blog, won’t ‘ya? 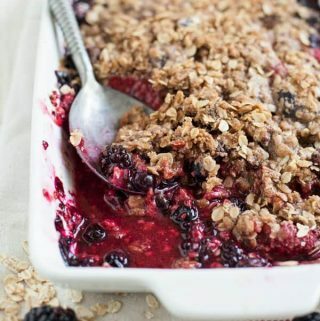 Give up the pre made store desserts and step in to sweet comfort food with this easy to make, no-fuss mixed berry crisp. Travels great, soothes your soul. 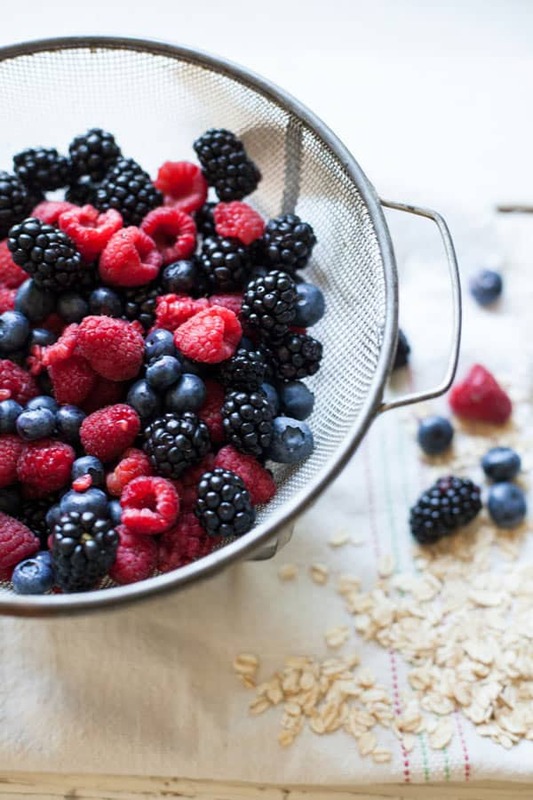 In a large bowl, mix the berries, lemon juice, sugar and flour and toss to coat. Transfer the berries into an 8x11 baking dish, 9" pie plate or 9" cast iron skillet. All would work fine. Set aside. In that same bowl, mix the remaining flour, oats, brown sugar, salt and cinnamon and stir to combine. Add the butter, and using your hands, two knives, or a pastry blender, cut the butter into the dry ingredients until it's the size of small peas. Spread over the fruit and bake until golden and bubbly, 45-55 minutes.